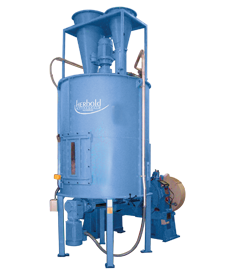 Herbold manufactures a wide range of granulators and shredders for a variety of applications. 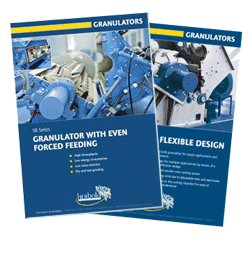 From conventional Beside the Press Granulators to Inline Granulators to Long Pipe and Profile Granulators to Heavy Duty Central Granulators, we have a solution for every application. 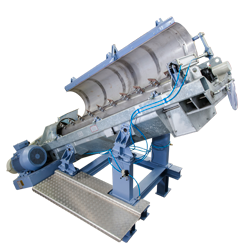 Our recycling systems for plastic solid waste are designed on a building block principle. According to the given requirements, it is possible to extend the system stage by stage or carry out modifications to suit changes in the range of applications. 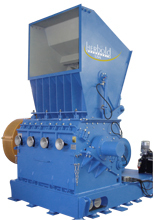 Densifiers are used for the processing and preparation of plastics including the agglomeration of powders, fibers, film and foam materials; drying of powders, fibers, film and foam materials; re-crystallization of PET flakes; and compounding of thermo-plastics and fillers. 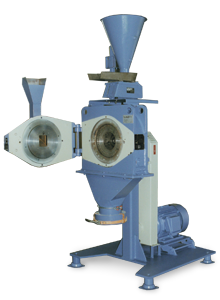 Our SMF fine granulators and PU impact disc pulverizers are used for fine grinding of plastic granulates and waste, and other soft to medium-hard materials. The final particle sizes to be achieved lie in the range of 0-1000 mm to 0-200 mm, depending on the type and configuration of the machines. an edge in its efforts to increase its capabilities. The recycling company INVEMA (www.invemagroup.com) commissioned a plant for the recycling of PET bottles in Honduras at the end of 2016 in order to produce bottle-to-bottle quality with FDA approval. In Honduras the collection rate of PET bottles amounts to 84 %. Today, 2000 tons of PET bottles per month are treated with the plant technology from Herbold Meckesheim, nevertheless, bottles have to be imported in order to use the plant to full capacity. When your motto is “Scrap everything you think you know about unusable plastic,” you had better be able to tackle the hard recycling jobs. 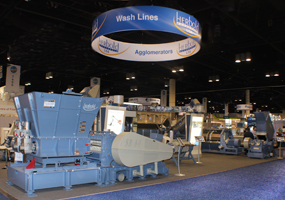 Plastics recycler Butler-MacDonald Inc. (Indianapolis, IN) says Herbold machinery investments are helping it do just that. Its customers include plastics compounders, telecommunications companies, and producers of CDs and DVDs, aeronautical and automotive parts, vinyl siding and windows, PET bottles, and pharmaceuticals. Some customers buy back the purified polymers from their own recycled waste.